DEERFIELD, Ill.--(BUSINESS WIRE)--Baxter International Inc. (NYSE:BAX), a global innovator in renal care, announced the Sharesource remote patient management platform has performed more than 5 million home peritoneal dialysis (PD) treatments globally. 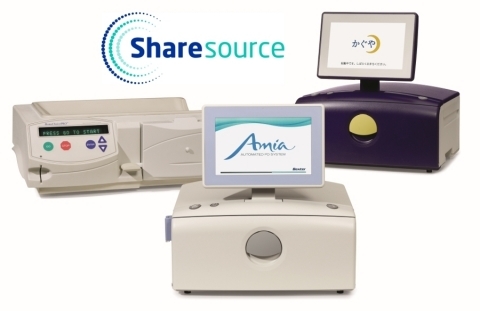 Sharesource is the only two-way telehealth platform offered globally – now in 40 countries – where Baxter’s Amia, HomeChoice Claria or Kaguya automated peritoneal dialysis (APD) systems are available. The platform allows healthcare professionals to remotely monitor and manage home therapy sessions from their offices, which includes the ability to change prescription settings without the patient needing to make an extra visit to the clinic. This release includes forward-looking statements concerning Amia, Homechoice Claria, Kaguya and Sharesource, including potential benefits associated with their use. The statements are based on assumptions about many important factors, including the following, which could cause actual results to differ materially from those in the forward-looking statements: satisfaction of regulatory and other requirements; actions of regulatory bodies and other governmental authorities; product quality, manufacturing or supply, or patient safety issues; changes in law and regulations; and other risks identified in Baxter's most recent filing on Form 10-K and other SEC filings, all of which are available on Baxter's website. Baxter does not undertake to update its forward-looking statements. 1 Firanek, C et al. Clinician PD prescription changes following application of 2-way cycler-embedded remote patient management (RPM) technology. : aggregate practice patterns. EuroPD 2017 Abstract P-60.